For software developers and providers, be it in-house, open-source, or commercial, UberCloud develops ready to run application software containers to ease the usability, accessibility, and portability challenges for the development, execution, and maintenance of engineering and scientific applications in public and private cloud environments. Technical computing environments are traditionally built for one key objective: high performance. However, to use High Performance Computing (HPC) for a wider set of applications such as engineering and scientific simulations, big data analytics, 3D printing, and the Internet of Things, and to make HPC ubiquitous, other concerns such as reusability, repeatability, time to deployment, and ease of use need to be addressed. To squeeze out the last ounce of performance, HPC environments make use of proprietary hardware architectures, specialized resource management tools and sophisticated messaging protocols, to list a few. This degree of specialization often leads to complex user interfaces, long deployment cycles, and limit the accessibility of HPC environments to organizations, which have built the necessary capabilities over many years. To resolve these issues, and to make HPC accessible to everyone (Intel calls this the democratization of HPC) UberCloud has developed software containers for on-premise and in the Cloud HPC environments. UberCloud’s production ready containers bundle OS, libraries and tools as well as application codes and even whole engineering and scientific workflows. 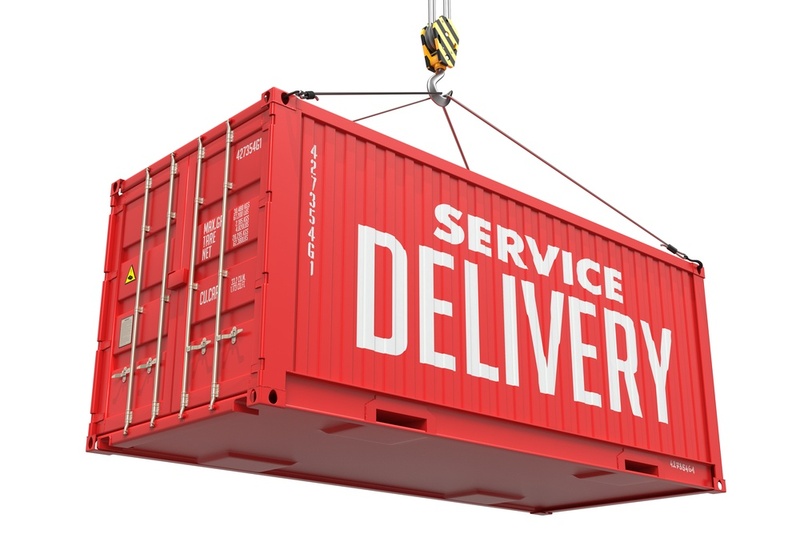 Containers include the necessary configuration for these components to work together seamlessly. By eliminating the need to install software and configure the high performance computing environment, deployment times are dramatically reduced. And, more and more engineering and scientific software is moving to the cloud, commercial software, open source software, in-house developed software. And when we say ‘cloud’, we are talking about any computing resource which can be accessed remotely, either on premise, often called private cloud, e.g. in a small company or in a global enterprise, or a hosted cloud in a remote datacenter, or rented on demand from a public cloud via Internet. Beneficiaries are not only the end-users, but also their service providers. For example, with UberCloud Containers software providers can build their own Software as a Service (SaaS) business for private and public cloud services. Are you a software provider? Then find out more details about containers and SaaS and how UberCloud supports this additional business opportunity for software providers, here. UberCloud Containers are ready-to-execute packages of software. These packages are designed to deliver the tools that engineers needs to complete their tasks in hand. The software tools are pre-installed, configured, and tested, in the container, and are running on bare metal computing resources, without loss of performance. They are ready to execute, literally in an instant with no need to install software, deal with complex OS commands, or configure. They are portable from server to server, cloud to cloud, “package once, run everywhere”. The cloud operators or IT departments no longer need to limit the variety, since they no longer have to install, tune and maintain the underlying software. They can rely on the UberCloud Containers to cut through this complex part of the software life cycle. Abstraction between the hardware and software stack provides the ease of access and use and the agility that usual bare metal environments lack. UberCloud developed quick to roll out and easy to use containers for use in High Performance Computing, whether they be on-premise, on public or on private clouds. Using popular Linux Container technology, UberCloud Containers resolve deployment challenges of traditional HPC environments with the goal to make HPC ubiquitous and widely available. During the past two years we have successfully built UberCloud Containers for application software like ANSYS (for Fluent, CFX, Icepak, Electromagnetics, Mechanical, LS-Dyna, DesignModeler, and Workbench), CD-adapco STAR-CCM+, COMSOL Multiphysics, NICE DCV, Dassault/Simulia Abaqus, Numeca FINE/Marine and FINE/Turbo, OpenFOAM, PSPP, Red Cedar’s HEEDS, Scilab, Gromacs, and others. These application containers are now running on cloud resources from Advania, Amazon AWS, CPU 24/7, Microsoft Azure, Nephoscale, OzenCloud, and more to come. Using UberCloud Containers in the Public Cloud, organizations can create an intuitive HPC Cluster user experience on an on-demand bare metal or virtualized Cloud infrastructure. And, they are an excellent fit for pay per use Cloud environments because they speed up the deployment cycles, reducing Cloud expenditures. Since the container images are continuously updated by UberCloud with new features and functionalities administration effort is greatly reduced. Linux Containers were designed for repeatable, rapid distribution of ready to run, tested software. UberCloud Containers are further enhanced to address deployment challenges of HPC environments because they are pre-built with just the right components, such as MPI libraries, resource management tools, compilers, and drivers for high performance networking as well as the desired software applications. UberCloud Containers reduce HPC environment deployment times from days to hours, reduce administrative costs and enable zero-effort repeatability on premise, and in private, hosted, hybrid, and public clouds. Performance tests conducted on the Intel Hyperion Cluster at Lawrence Livermore National Laboratory (LLNL) demonstrated that a medical device simulation with OpenFOAM application code running on the UberCloud Container achieved near bare metal solution times.